The European Repo and Collateral Council (ERCC) of the International Capital Market Association (ICMA) has today released the results of its 35th semi-annual survey of the European repo market. The survey, which calculates the amount of repo business outstanding on June 6, from the returns of 62 offices of 59 financial groups, sets the baseline figure for European market size at EUR 7,351 billion up from EUR 7,250 billion in the December 2017 survey. Year-on-year this represents an increase of 13.9 percent since the June 2017 survey. Godfried De Vidts, Chairman of ICMA's ERCC, says: "The repo market continues to perform as a collateral source for prudential and regulatory requirements. Highly liquid, unencumbered flows of collateral already help to protect the CCP and bilateral hedging flows that are so crucial for the real economy. Further mandatory clearing obligations for the buy-side will also need the repo market to deliver collateral. All in all, growth in repo activity is a positive for global financial markets." Continuing growth in repo business over the last two surveys has been identified as being largely due to the increased requirement for collateral to underpin financial transactions beginning to bite, says the ERCC. Post-crisis regulation mandated by the G20 has pushed markets toward centralized clearing, with the associated higher margin commitments and more frequent margin calls creating huge collateral demands. The sell-side has already adopted this mandatory obligation while the buy-side is being brought on board, with the final deadline in 2020, it says. The repo market is the mechanism by which this margin collateral, mostly in the form of cash and government bonds, is moved around the system to where it is needed. More generally, the increase in repo market size noted by the December 2017 survey and sustained in the first half of 2018, indicates that the market has adapted to a series of new regulations implemented in recent years and the business is growing, with more efficient collateral management delivering improved profitability for repo traders. 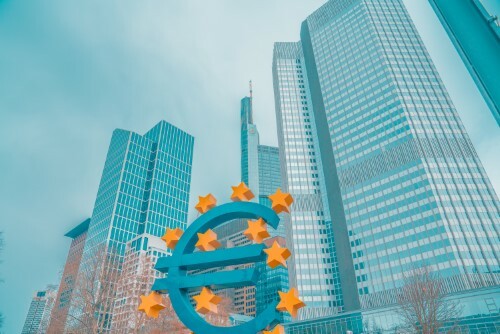 Yet there is evidence of this being a market under stress and it remains to be seen if further proposed regulations can be assimilated successfully.The reduction by the European Central Bank of its asset purchase programme may have been another factor, making more high-quality collateral available in the system, suggests the ERCC. The overall recovery in electronic trading suggests recovery in inter-dealer business. But tri-party repo has not shared in the recovery and its share of the survey sample fell back to 6 percent (from 8.6 percent in December 2017), reflecting the continued dampening effect of plentiful central bank liquidity on the need for market funding.